Overly enthusiastic Houston holiday lovers aren't the only ones putting their own spin on Travis Scott's Drake-featuring hit "Sicko Mode." In fact, Skrillex has just joined the party with a remix of his own. 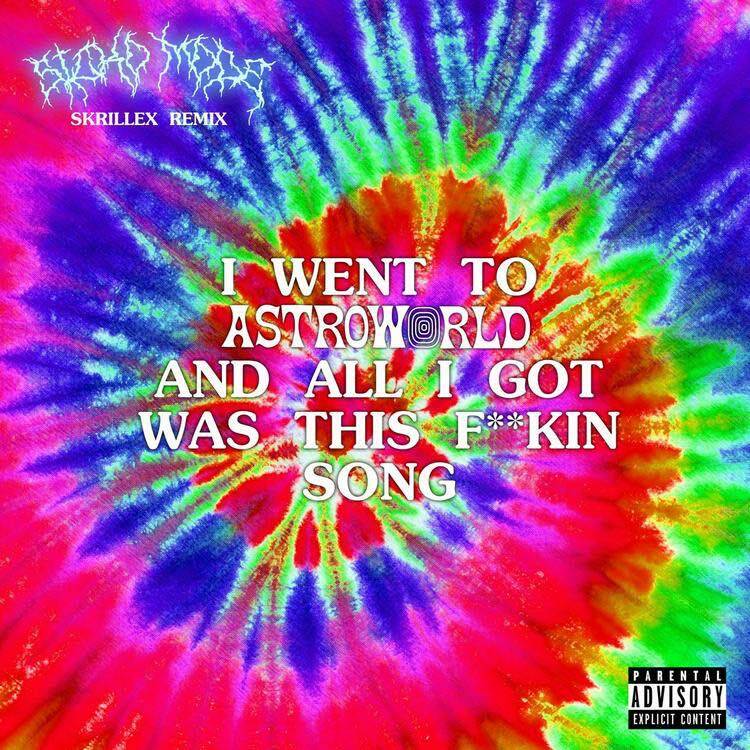 Channelling the tripped-out, psychedelic vibes of Scott's original track (and ensuing theme park of an Astroworld tour), Skrillex adds some signature bass wobbles into the mix. The producer shared the new take on the track along with artwork that reads "I went to Astroworld and all I got was this f**kin song" atop a tie-dye explosion. Listen to Skrillex's version of "Sicko Mode" below.